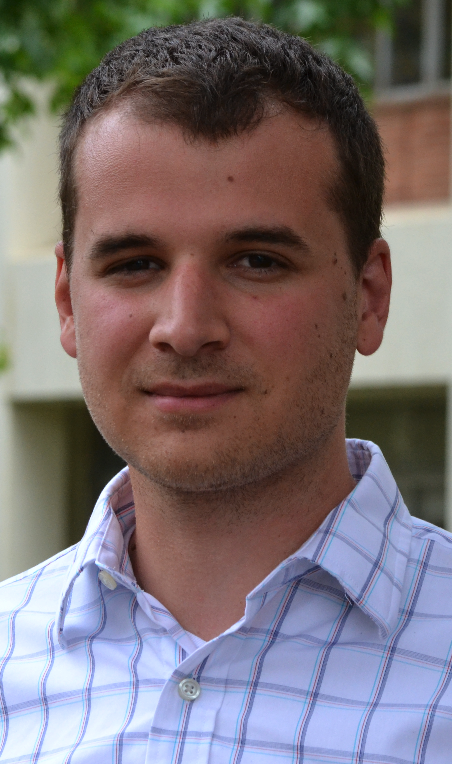 Mathieu Bauchy is a computational material scientist, specialized in amorphous and cementitious materials, with strong interest in the relationship between composition and mechanical properties of engineering interest. 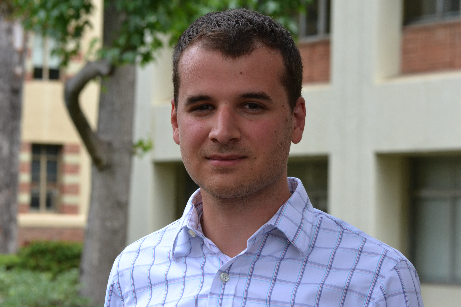 Mathieu is presently an Assistant Professor in the Civil and Environmental Engineering Department at University of California, Los Angeles (UCLA). His goal is to reduce the carbon footprint of cement, which is responsible for 5% of human CO2 emissions. To this end, he is optimizing the composition of cement to make it more resistant to fracture and aging, which allows one to use less materials while achieving similar performances. He is also working on improving the energy efficiency of the grinding of clinker, and on reducing the use of clinker by studying the reactivity of alternative cementitious materials like fly ashes. Prior to joining UCLA, Mathieu was a Posdoctoral Assistant at the Massachusetts Institute of Technology (MIT). 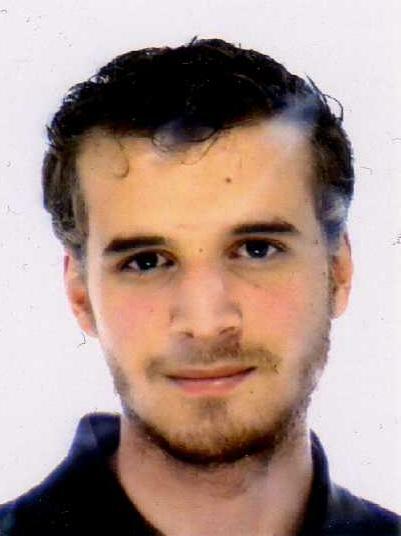 He received his Ph.D. at Université Pierre et Marie Curie (Paris). 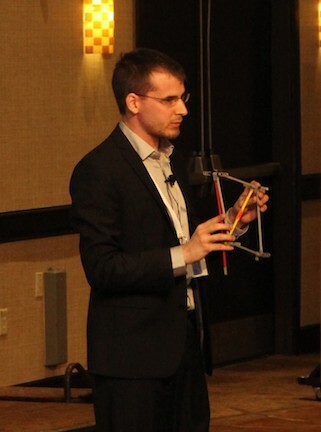 His thesis was dedicated to the development of high-performance silicate and chalcogenide glasses by means of atomic-scale simulations. The nomation to the Future Leader Program (FLP) recognises exemplary work and potential as a future leader in the ceramics and glass industry. The Norbert J. Kreidl Award for Young Scholars is attributed by the American Ceramic Society and recognizes research excellence in glass science. Topological constraint theory provides an interesting means to understand the important microscopic physics governing the thermal, mechanical and rheological properties of glasses with changing compositions, while filtering out unnecessary details that ultimately do not affect its macroscopic properties. It has been successful in predicting compositional trends in covalent network-forming glasses such as chalcogenides. Its application appears however more challenging in iono-covalent glasses such as silicates where neighbors/bonds and angles need to be properly defined. Here we derive such constraints for different alkali silicates using an atomic scale approach (Molecular Dynamics, MD) combined with partial bond angle distributions (PBAD). The latter allows having access to the second moments (standard deviations) of the distributions. Large (small) standard deviations correspond to large (small) angular excursions around a mean value, and are identified as broken (intact) bond-bending constraints. A similar procedure is used for bond-stretching constraints. Systems examined include glassy and liquid disilicate 2SiO2-M2O (LS2, NS2, KS2). In the glass, MD constraint counting closely matches Maxwell enumeration of constraints using the octet binding (8-N) rule. Results show that the standard deviations of the partial bond angle distributions increase with temperature and suggest a softening of bond-bending constraints. A bimodal bonding oxygen distribution is obtained for T>Tg, and the fraction of thermally activated broken bond-bending constraints computed as a function of temperature. As a preliminary work, pressure effects are also presented. Overall, these results provide a microscopic rationale for extending constraint counting from chalcogenides to complex oxides, and also a numerical basis for recent functional forms of temperature-dependent constraints proposed from energy landscape approaches. Award of netmarketing for the founding of MaPhilo.net. Award of webmastering for the creation of Illu.vze.com. I am currently teaching in the Civil and Environmental Department at UCLA. Stress, strain, mechanical properties of materials, axial load, torsion, bending, transverse shear, stress transformation, strain transformation, deflections of beams, buckling of beams. The objective of this course is to provide a fundamental understanding of the nature and properties of glasses, in the field of infrastructures and technology (structures, LCD screens, touch-screen devices, fiber optics...). Special attention will be paid on glass formation and its relevance to manufacturing, and on composition-structure-properties relationships. Statistical mechanics and numerical simulation, Monte-Carlo methods, molecular dynamics, correlation functions, phase transitions, advances Monte-Carlo algorithms, stochastic thermodynamics and fluctuation theorems, out of equilibrium statistical physics, aging. General description, mathematics formulation, transverse and longitudinal mechanical waves, electromagnetic waves, acoustic, superposition, resonance, interference, diffraction, Doppler effect. A few pictures of me. 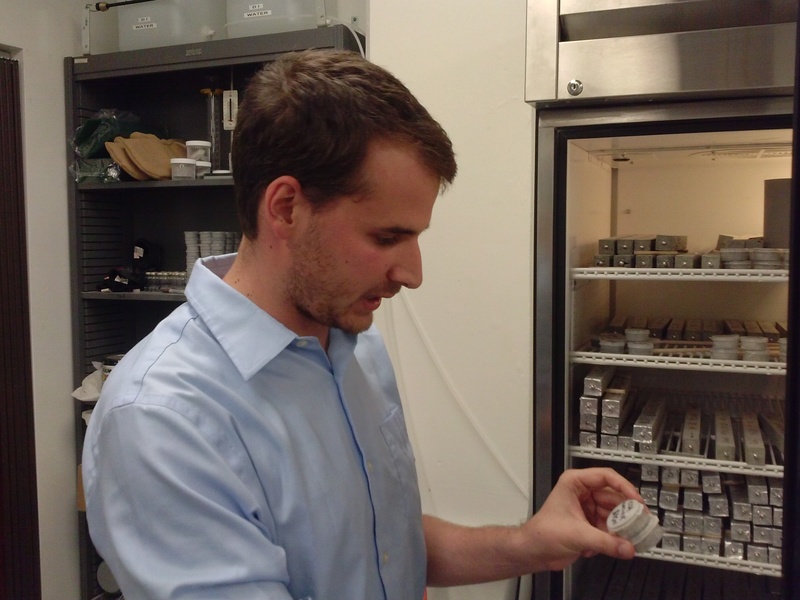 Photo taken in our lab, with cement specimens. 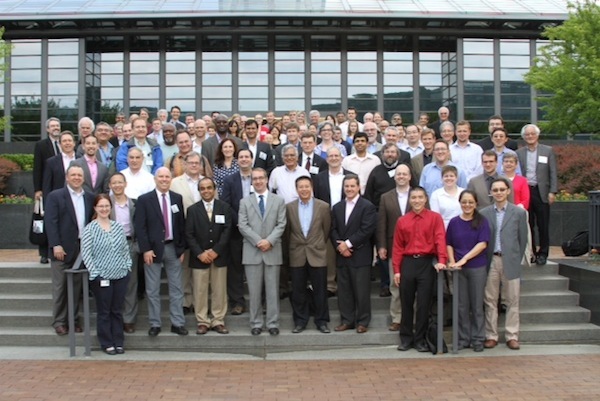 Group picture at the Glass Reasearch Summit 2014 at Corning. Picture taken during the Future Leader Program of the American Ceramic Society. Picture taken during my invited lecture to receive the Norbert J. Kreidl Award 2012. Please feel free to contact me for more information about me or my research projects.